A series of pipe bombs mailed to former President Barack Obama, Democratic Party leaders, and critics of the current US president two weeks before midterm elections also targeted philanthropist and foundation-founder George Soros, prompting the Open Society Foundations to call for an end to the “politics of hate” in America and other countries around the world. 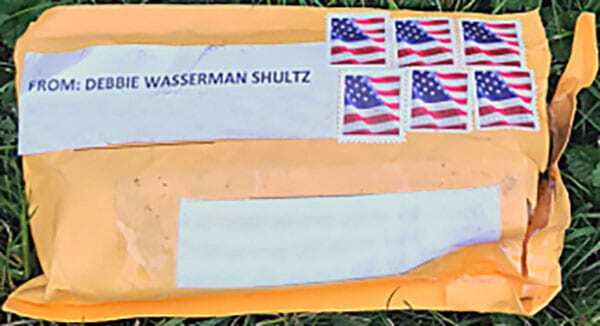 Although an FBI investigation into the acts of terrorism is still ongoing, authorities believe the packages mailed to Hillary Clinton, George Soros, John O. Brennan, Robert DeNiro, Joseph R. Biden, Jr., Maxine Waters (who was mailed two packages), Sen. Cory Booker, James R. Clapper, Barack Obama, and Eric H. Holder Jr. are linked, according to the New York Times. (Note that three of the eight victims are people of color and Soros is Jewish.) An additional package was sent to the office of CNN in New York. Soros, a former hedge fund manager who made his fortune with swashbuckling trades in currency and bond markets, is a longtime supporter and financial backer of progressive causes and Democratic politicians—and a bogeyman of the right wing, which accuses him of all manner of anti-American plots. Most recently, President Donald Trump claimed that Soros paid people to protest Brett Kavanaugh’s Supreme Court confirmation. And, in an op-ed in the Times on Wednesday, Soros’ son, Alexander, described attacks against as his father as “dripping with the poison of anti-Semitism” and pointed to Trump’s election as the cause of rising white supremacism and nationalism. A genie was let out of the bottle, which may take generations to put back in, and it wasn’t confined to the United States. In Hungary, Prime Minister Viktor Orbán launched an anti-Semitic poster campaign falsely accusing my father of wanting to flood Hungary with migrants. This included plastering my father’s face onto the floor of trams in Budapest so that people would walk on it, all to serve Mr. Orbán’s political agenda. Alexander Soros is the deputy chairman of the Open Society Foundations. Soros also noted the rising risk for nonprofits accepting the foundation’s funding. “It is also all too normal that organizations doing important pro-democracy work face existential threats simply because they accept support from the foundations my father started,” he wrote. In a July NPQ story, we reported that the attacks against George Soros and the Open Society Foundation in Hungary have caused Soros to doubt the future of liberal democracy here and abroad. He also questioned whether civil society can survive when new-age autocrats are increasingly cracking down to consolidate power. While President Trump initially called on Americans to “unify” and “come together” on Wednesday, he again pointed to the “mainstream media” as the cause of “the anger we see today in our society.” White House press secretary Sarah Sanders defended his comments on the media on Thursday, according to CNN. And, let’s face it, this stream of hatred, even specifically as it is aimed at foundations of the left, cannot solely be laid at the feet of this administration. Readers may remember the 2010 incident involving a man who loaded up his mother’s car with guns with the intent to stage an attack on the ACLU and the Tides Foundation, two targets of Glenn Beck’s ire on Fox News at the time. The FBI and Southern Poverty Law Center both released reports in August on the rise of Black Nationalism in response to the rise of white supremacy and police shootings of black people. The FBI report, however, seems seriously misdirected.